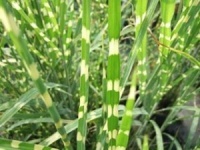 Wonderful in spring when the whole plant, leaves stems and flowers are a gorgeous gamboge-yellow. A rather pleasing form, so named because of the attractive series of gold coloured bands that run up the leaf. Makes a compact relatively short leaved clump. Ideal for the smaller garden or where space is limited. Distinctive very narrow leaves giving a very graceful effect. Very effective when used to break up solid clumps of planting. 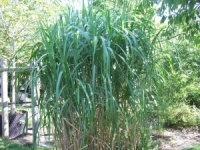 This lovely tall erect grass has good green foliage with a central band of silver. Makes a superb bold statement in any planting scheme.